In the wide spectrum of today's digital communication technologies, virtual environments are probably some of the absolute coolest to behold; containing elements of nearly every other electronic communication system --such as video conferencing, telepresence, written chat and VOIP elements-- virtual worlds are also extremely comprehensive by fusing all of these things together. However, despite the fact that VE is being heavily developed by several companies, nobody seems to have yet stumbled upon an easy to use killer app version that really captures large user bases. In other words, virtual environments, for all their technological power, mostly still take a backseat to more traditional business to business communications options. This is really too bad in its way, because, as we'll shortly see by looking at the key things they offer, virtual spaces are really something to be reckoned with when it comes to business meetings of a whole new kind. Principally, virtual spaces have failed to integrate as much as they could because they still remain a bit impractical to kick start for anybody who hasn't gone through a fair bit of trouble to prepare for them in advance. Thus, for a company that wants to hold a large virtual conference with employees or clients, the simpler, more generally thought of alternative will first be to go with simpler things like online chat, display websites and document exchanging over cloud storage and email. The work involved with setting up a large virtual meeting and setting up the entire internal space provided by the software can seem like a lot of trouble for little need. And this can be made even worse by the fact that a lot of virtual space software can be quite complicated and even impractical to set up and use. Thus, imagine a company wanting to give it a spin and then realizing that to do so would mean first getting a lot of employees to learn the basics of how to enter and operate inside the space. This can be even worse if we're talking about clients, who can be notoriously fickle when it comes to even the slightest inconvenience. In this case, the biggest problem still remaining is easy, smooth and hassle free integration with a business environment; integration so smooth and easy to apply that running a virtual space becomes as straightforward as going with the usually used alternatives. In terms of what they offer, virtual environments can be a real boon for business who want to really get to know their clients' habits. This is because in contrast with simple video conferencing, document transfer and email exchange, the virtual space lets a company tailor the total, complex environment in which their customers will be moving and then collect data on every single action they take. This is a degree of observational and analytical control even greater than that offered by a real physical meeting scenario, and the opportunities that it creates for gathering client preference analytics information are enormous. Through the diverse virtual space customers can be moved through a digital representation of a company's services, products and meeting spaces. For an example of what we mean, take a look at this demo of Intercall’s virtual environments. In the process of exploring you will see that these same clients will clearly be able to show what they like, what they don't like, where they prefer to click and what their favorite forms of interacting with a business are. Thus, we're seeing more and more business that recognize this data gathering power start using virtual environments to hold events such as new product and service rollouts, expositions for when they enter new markets and for extending interaction with their clients into timeframes that go beyond the physical conferences and meetings these companies might be holding. The whole time, extremely valuable customer behavior information is being gathered for integration into future virtual and physical meetings and marketing materials in general. As an added benefit, all of the above can be done at much, much lower costs than what would have to be paid in order to set up actual physical expositions and events. Of course, the impact of virtual isn't as heavy as the real thing (at least not yet) but it's far cheaper price makes high relative ROI a lot easier to attain. 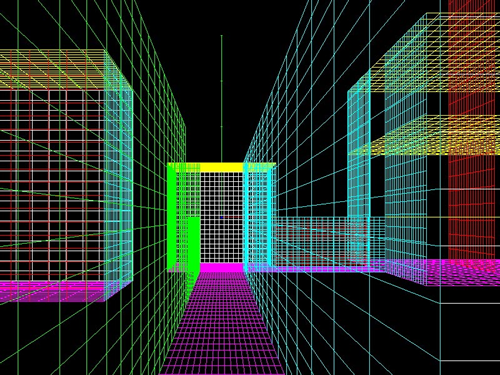 The above described use of virtual spaces will almost certainly only go up in frequency down the road. Not only that, but the sorts of uses that can be found for these really unique digital spaces will grow enormously. The levels of control, client analytics and expense minimization possible are way too beneficial to pass up. Again though, the interface needs to be simplified even more; once the truly easy to integrate and use killer app version of the virtual environment is created, then we'll really see some forward movement. Stephan Jukic is a freelance writer who covers online data protection, anti-intrusion protocols and digital security. When he gets a chance, he also indulges in writing about SEO, mobile technology, marketing techniques and non-localized digital business strategies. When not busy writing or consulting on digital security to groups and individuals, he spends his days enjoying life’s adventures either in Canada or Mexico, where he spends part of the year. Stephan’s writing has been featured on Sitepoint, Duct Tape Marketing, Infosec Institute, The Marketing Robot, Security Hunk and Search Engine Journal. Connect with Stephan on LinkedIn and Google+.